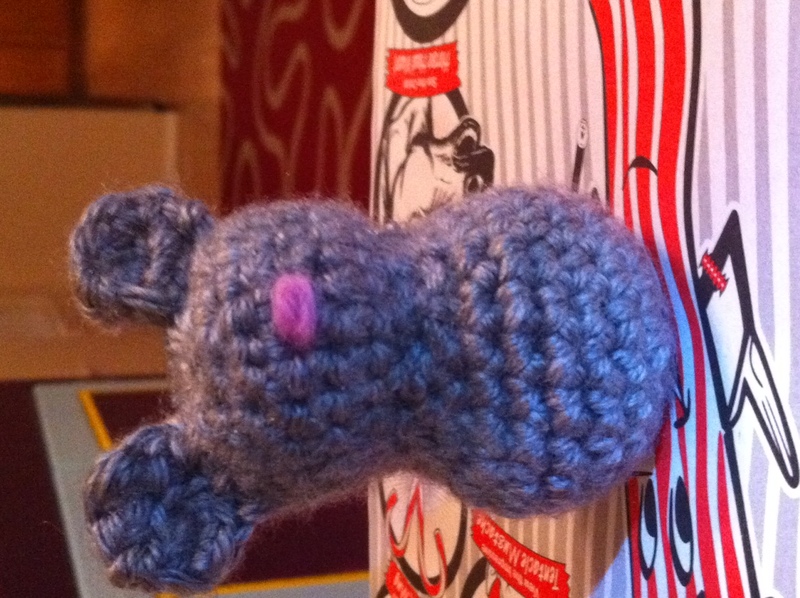 Thanks to Nerdigurimi, I completed this adorable mouse amigurimi. I tried to make a bear, but the ears came out too big, so it became a mouse. I didn’t have any safety eyes at the time, so I just added the pink nose. I think it is pretty cute. The step-by-step tutorial helped immensely, walking me through the hard bits. The site is chock full of unusual, imaginative amigurimi — a far cry from your typical tiny yarn animals. Since then I have been crocheting up a storm. More photos to come soon!